Casa Bonita Station? The Colorado Rapids Line? These names are completely speculative, but maybe not far from reality if RTD gets its way. The transit agency is trying to lure corporate sponsors to buy naming rights as it prepares to open four new rail lines next year. Each sponsorship could haul in as much as $1 million a year if a company decides to sponsor an entire line, according to RTD staffer Scott Reed, who presented the Board of Directors with an update on the process Monday. RTD hired an advertising firm to sell sponsorships, and has 19 proposals under review, Reed said. Selling naming rights is part of a long-term strategy to create recurring revenue for a consistently cash-strapped RTD. 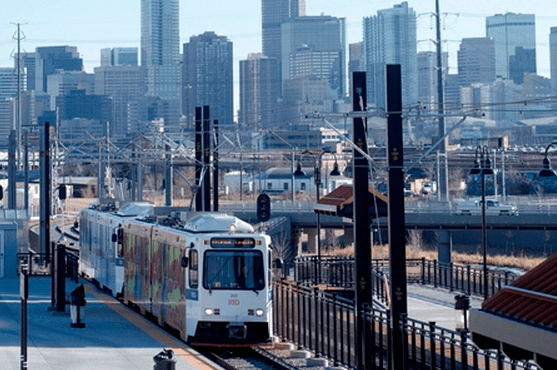 The proposals come at a time when the Northwest Rail Line between Denver and Longmont looks like a broken promise, and RTD officials are trying to fund discounts for low-income transit users, even as overall fares rise. Reed is certain that once a major sponsor signs on, more will follow suit. “No one wants to jump in the pool first in case there are sharks in there,” he said. Transit agencies in Boston and New York sell naming rights to stations, and in Portland transit stops can be “sponsored” for a set period of time by private companies. CO Rapids Line would make even more sense if their stadium was near a line! I don’t think there is a way to get within a mile of that stadium via transit. What a missed opportunity. Seriously, and I’m sure that they had some idea where the line to the airport would be. The Central Park Blvd station is about 3.5 miles to the Rapids’ field. I would love to see some other sustainable revenues sources explored. How about charging for parking at RTD Park’n’Rides? It would take legislation to allow this, or a private partner could do it under existing legislation. How about using revenue from toll lanes to support transit service and ecopasses along those toll corridors.? CDOT would need to agree, but this is already allowed by the FASTER legislation, and encouraged by the HPTE transparency policy. May we not be allowed some damned pride? Must I board at Pepsi station? Seriously, screw this. It’s bad enough that our trains and buses already look like rolling billboards. I’m in favor as long as the names are comical.